It’s really a shame that the infographic is dying off (reports FastCompany in this recent article: What Killed the Infographic?) or, as they eventually reveal, not so much dying off as retreating into internal data science reports. As most of us are visual learners, the ability to hook a reader in the first few seconds with a visual is usually an effective means of getting them to read your content. Anecdotally, I’ve seen that content with gorgeous imagery performs better – as in, you see a lift in time on site and page depth. On the flip side, content sans imagery does terribly. You’re lucky if you can maintain a 50% bounce rate. It really makes me wonder if society is moving closer and closer to how it is portrayed in Idiocracy. We’re already watching our phones with the attention a mother gives her newborn. A friend remarked to me the other night how he noticed his attention span during a movie recently: the least bit of a slowdown and he whipped his phone out to check baseball, catch up on Facebook, and wait for the movie to pick back up again. No wonder blockbuster action thrillers win at the box office and cerebral think-pieces tank. I’m guilty of obsessive internet-checking too, although I like to think I’m avoiding commercials more than waiting for a plotline to thicken. 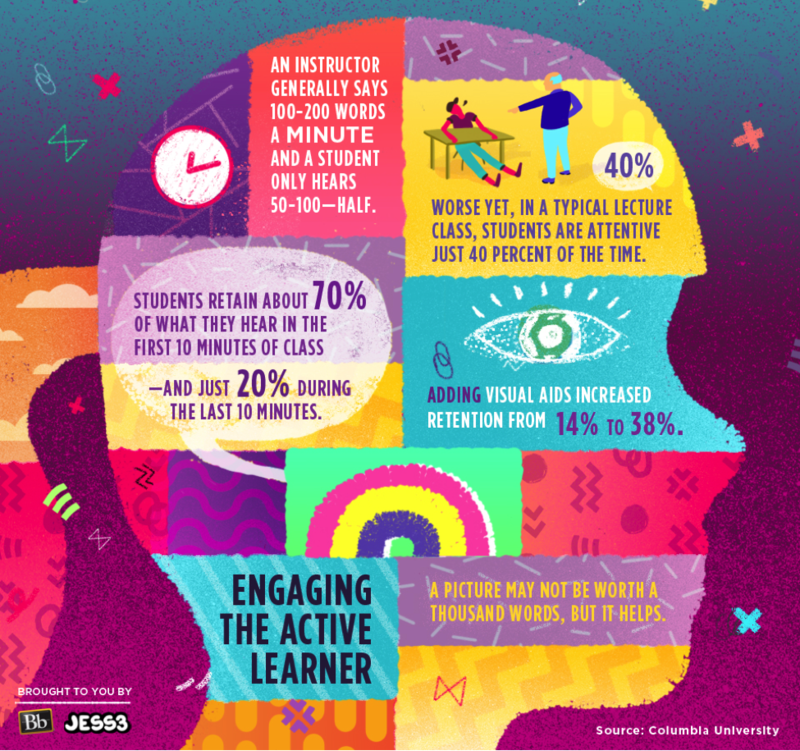 There’s a place for infographics on the web, though, we just need to think of them as more than data visualization. What is Instagram if not one long, scrolling infographic on life? 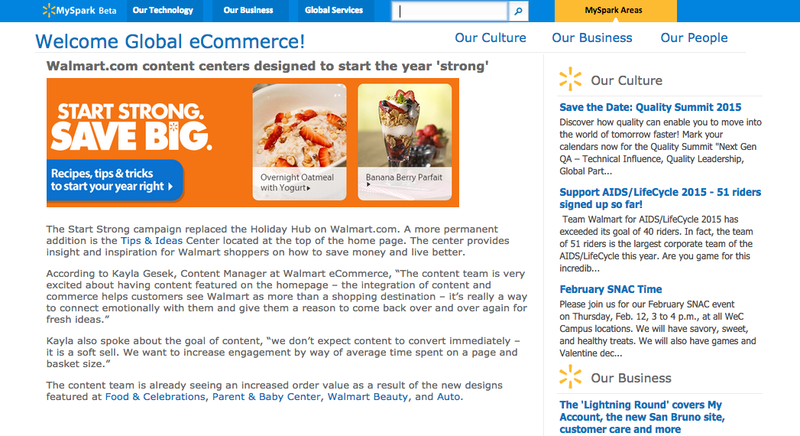 Recently, I did a quick interview with our PR team about Walmart’s growing acceptance of content marketing – every January, Walmart does their version of a New Years’ Resolution play called Start Strong, Save Big. I’ll be the first to admit that I’m not an avid beauty buff. I hardly wear makeup (although I appreciate the artistic prowess necessary to apply it, and I CAN do that) and as for hair, I like to experiment with different colors – sometimes unnatural, orange is a favorite – rather than styles. It surprised me, then, when I started taking a liking to the beauty content I wrote myself out of pure need (aka slim budget and few internal copywriting resources). Here’s a recent favorite that I spun to pair with my other love: figuring out WHY things work. Apparently the Outbrain crowd liked it too, because it was a hit! Well, actually 1,318,567 hits to be exact. The science behind coconut oil for your hair – written by yours truly for Walmart Beauty. This font reminds me of sitting in math class, concentrating on solving a problem when all of a sudden your pencil snaps and it’s probably because Pencil is feeling vengeful for all the times you chewed on the eraser. Then you’re pissed because a) you have no pencil and b) you’re still in math class. Anyway, all these computers and digital gadgets are no good. They just fill your head with numbers and that can’t be good for you. On Wednesday morning I was walking down the hallway at the technology company where I work to get coffee and was stopped by two coworkers talking about the secret Prince concert. I was wearing wine colored jeans and a purple flowery button-up, so yes, technically I was all purple. I stopped and struck a pose to model my outfit, then asked what they were up to. My coworker then asked if I wanted to go. I had nothing to do that night. I said yes, because of COURSE you say yes to a once-in-a-lifetime opportunity like a secret Prince show! We met up outside the Fillmore where they banned all photography and video, so sadly I don’t have any to share. What I can note is that Prince was wearing a cabernet flowered carpet jacket with fro and headband. His ladyband was amazing and talented. At one point, Prince was playing piano behind a veil of pink smoke just like in his videos. Then he told us not to take photos with our smartphones because technology is all that is wrong with the world. Don’t hate technology, Prince, it brought you and me together. These are great because although they seem like a lot of work, you can do other things between steps, and they can sit out for hours before anyone actually consumes them. Makes 20 skins and 20 poppers (we ate a few immediately because they were so good, which is why you see fewer in the photos). Pierce each potato several times with a fork or sharp knife. Place the potatoes directly on the oven rack and bake until the skins are crisp and a knife easily pierces the potatoes, about 50 minutes. Transfer to a wire rack until cool enough to handle, about 10 minutes. Set the oven to broil. Finely chop the garlic and 2 green onions, and mix with the cheddar cheese. Evenly fill each skin with cheese and garlic mixture. Place in the broiler and broil until the cheese is melted and bubbling, about 4 to 5 minutes. Remove from the broiler and top each with 1 teaspoon of the sour cream and a sprinkling of the green onion. Enjoy! Preheat oven to 350 degrees F. Line a baking sheet with foil and spray with Pam or olive oil spray; set aside. In a medium bowl, stir together cream cheese, green onion, garlic powder, onion powder, hot sauce and salt and pepper (to taste). Spoon the filling into each jalapeño cavity. Then top each jalapeño with the shredded cheese. Place on prepared baking sheet, cavity side up. Bake until the filling is melty and the cheese on top is bubbling, about 15-20 minutes. If the cheese isn’t browning up fast enough and your jalapeños are cooked through, put in the broiler for 2 minutes to brown the tops. I write fiction and poetry. If you want to support my work and artistic endeavors, check out my Patreon. Donate to my favorite thing, the ACLU. Here are some great organizations that I love to support. Give them money, time, or show them some social media love.